One again, my Stitch Fix stylist nailed it! Check out what she picked for my winter wardrobe refresh! I’ve been trying out other style boxes lately. But I gotta admit, Stitch Fix is still my favorite. I asked my stylist for a winter wardrobe refresh and she nailed it. Again. I really want some new comfy sweaters that I could style in a few different ways. I got two cute pullover sweaters and an amazing sweater cardigan, my new favorite jeans, and a cute pair of booties. This sweater is soooo soft and comfy. I could seriously sleep in it. I’m always afraid thicker sweaters are going to be itchy, but this one wasn’t a single bit. I love this color too. It’s perfect for moving from winter to spring! 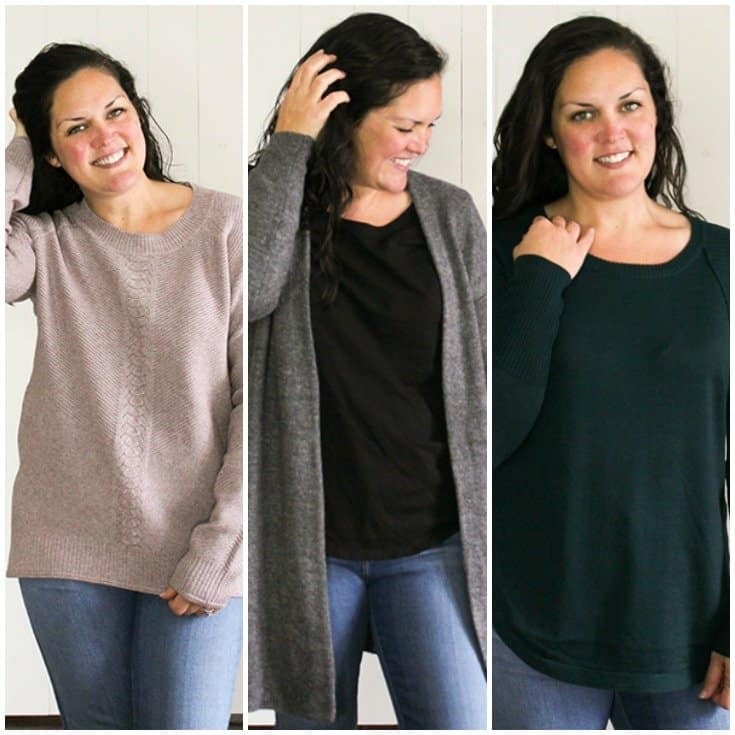 I love a thinner pullover like this because they are so nice for layering. And layering is my favorite way to get the most mileage out of my clothing because it lets me wear things year round. 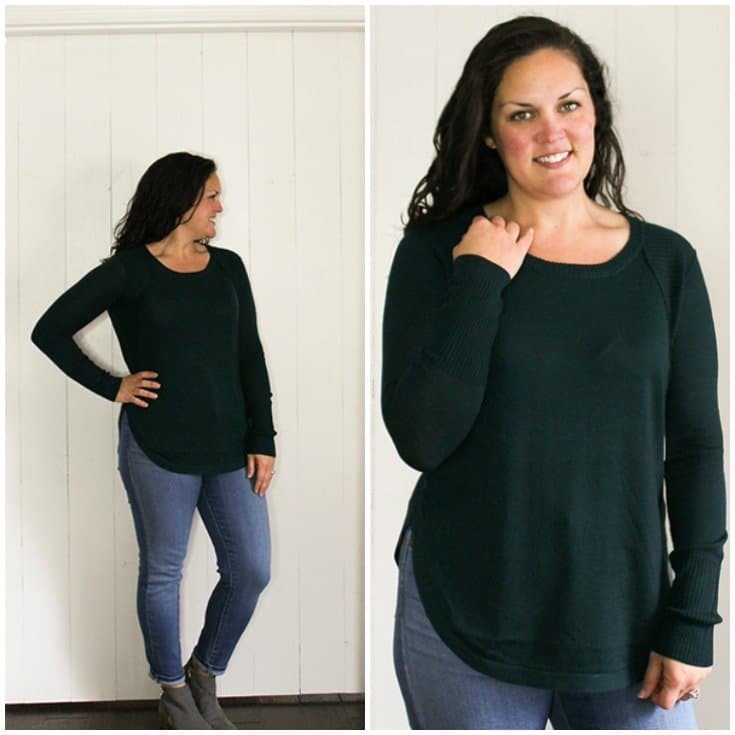 This pullover would be really cute with a puffer vest or a faux fur vest and some tall boots! Talk about a wardrobe workhorse! 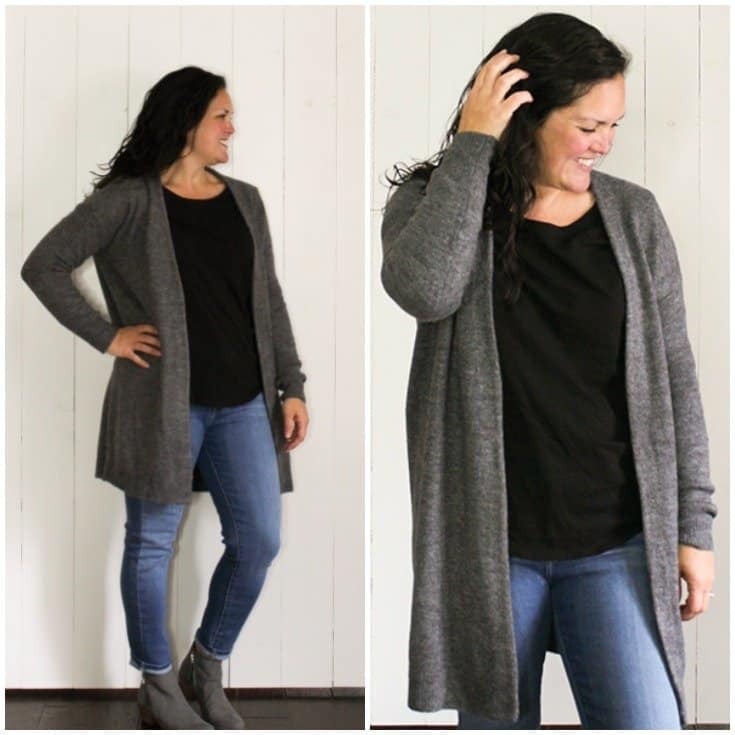 This cardigan is the *perfect* layering piece. I love a neutral that I can layer over prints or coordinating solids. And gray is perfect because it pairs well with so much and can be worn year round. Although, this cardigan is a thicker fabric, so it’d be too hot for summer. But you could keep it on hand for cool summer nights! 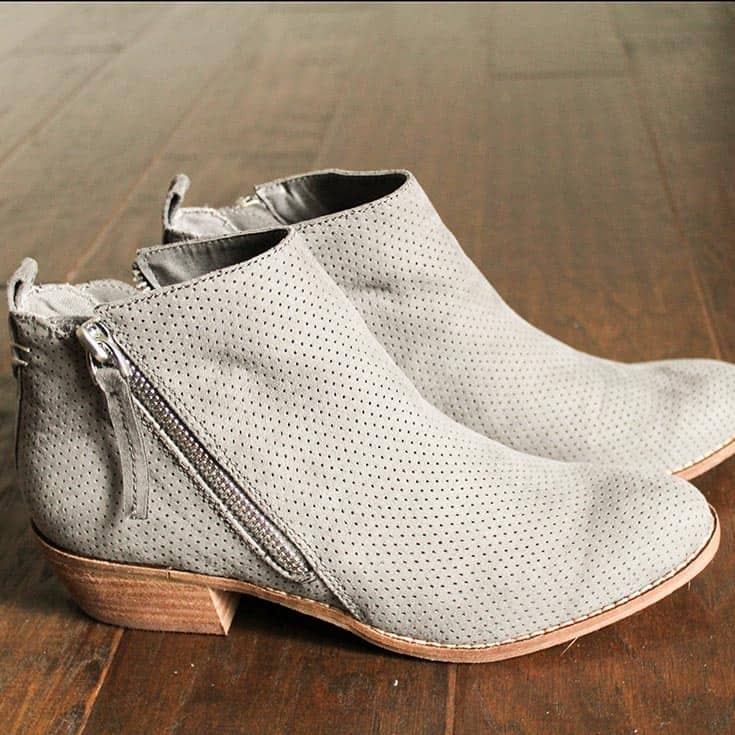 The consensus is in and booties are still on trend! I wasn’t sure because I feel like I haven’t seen them as much. But maybe I just wasn’t paying attention. Ha! I have gotten a couple pairs in other recent style boxes, and these are my favorite so far. The fit is good, and they aren’t too stiff in the top of the foot. And again, a color that can be styled year round! What items are you looking to add to refresh your wardrobe for winter? Have you tried using style boxes to find what you want?